Westfield Camino Real Mall is located in the City of Carlsbad, Southern California. 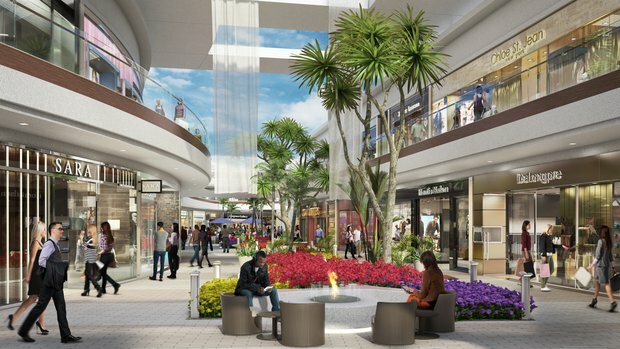 The mall complete renovation included the shell and core areas for new Regal Cinemas, 24 Hour Fitness, Tesla Sales and Maintenance Facility, new restaurant and retail spaces. The scope included a new Central Water Source Heat Pump System, new elevators, new restrooms, two new 4000 A @480V Electrical Services, new data /voice point of entries, a renovation to truck dock area, addition of dry and wet compactors, and renovation to all common area systems including lighting and circuiting of stairwells. Site utility elements including two new utility service duct banks, new gas service, water service and grease trap were included for the food court and restaurants. The scope included the exterior elements such as lighting, drainage and landscape requirements. Phase 2 included design of new LED lighting for entire mall parking areas, roadways and landscape areas, with dimming light controls connected to new Mall EMS system.